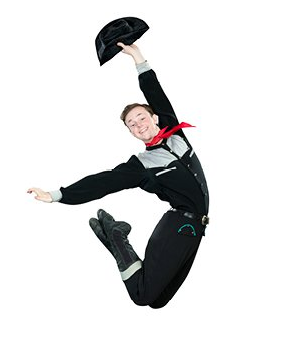 The Straz Center’s Next Generation Ballet (NGB) will present Pirates and Cowboys May 11-12 in Ferguson Hall. Pirates and Cowboys will be presented in Ferguson Hall May 11-12. Performances are Saturday at 2 and 7 p.m. and Sunday at 2 p.m. Regularly priced tickets start at $20 and may be purchased by calling 813.229.STAR (7827) or 800.955.1045 outside Tampa Bay, in person at the Straz Center Ticket Office or online at www.strazcenter.org. Handling fees will apply. More information is available by calling 813.222.1040 and at www.patelconservatory.org. The accredited Patel Conservatory offers summer camps and classes in dance, music and theater for students of all ages and experience levels. Each year, the Straz Center’s arts education programs enrich the lives of more than 50,000 students in our classrooms, on our stages and through the community.